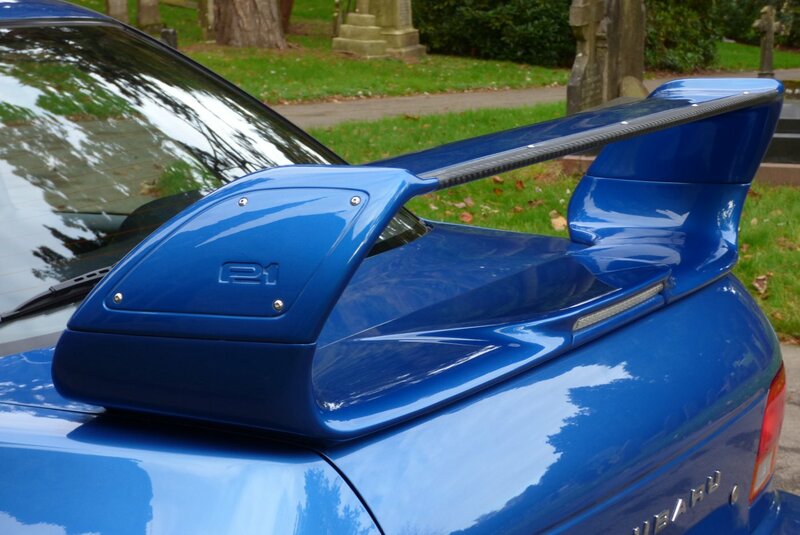 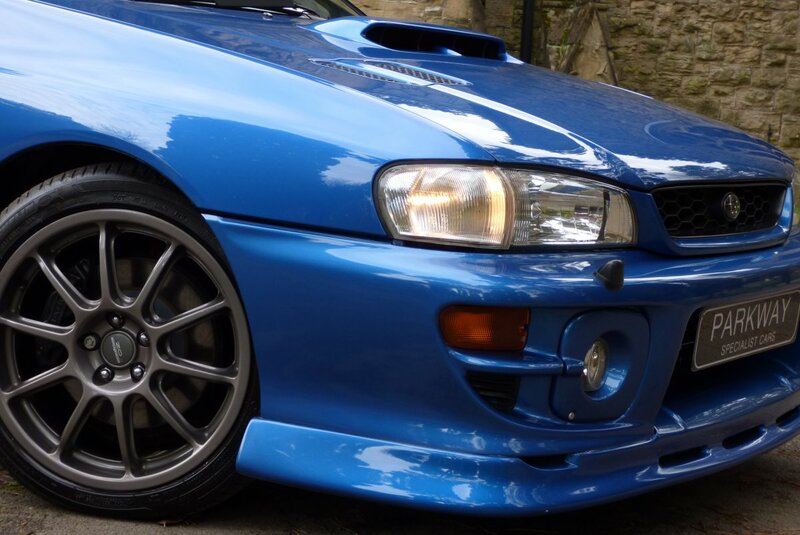 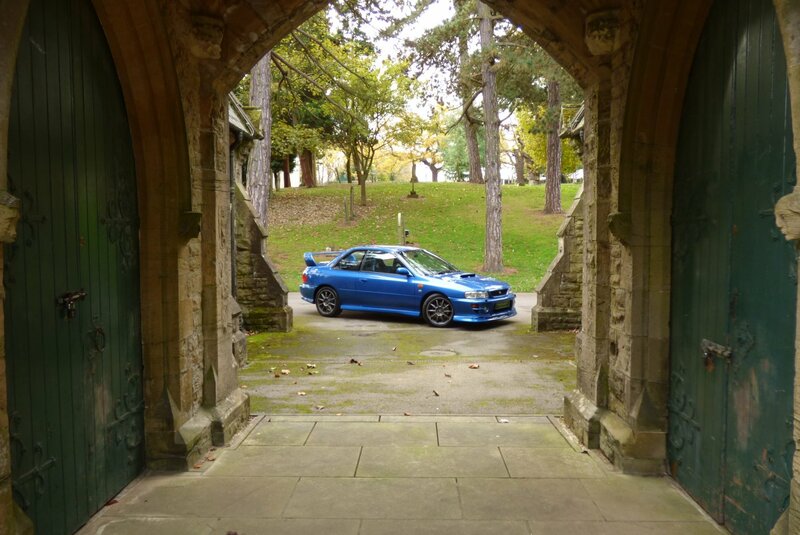 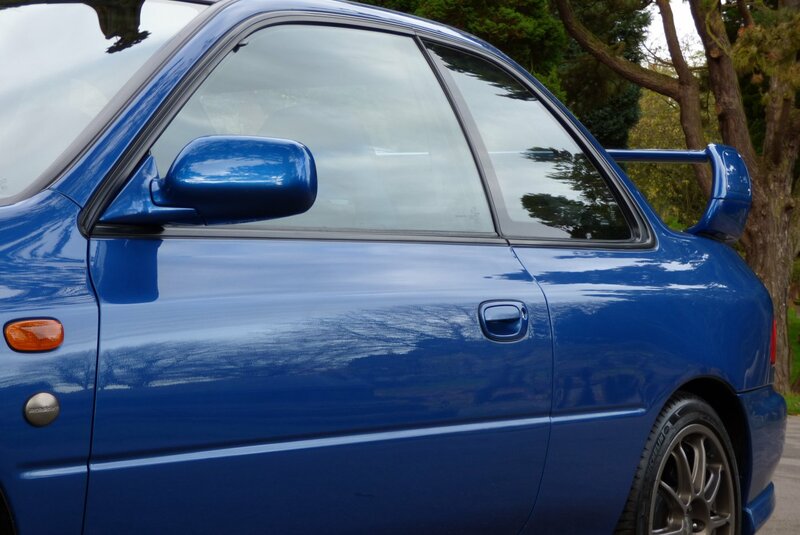 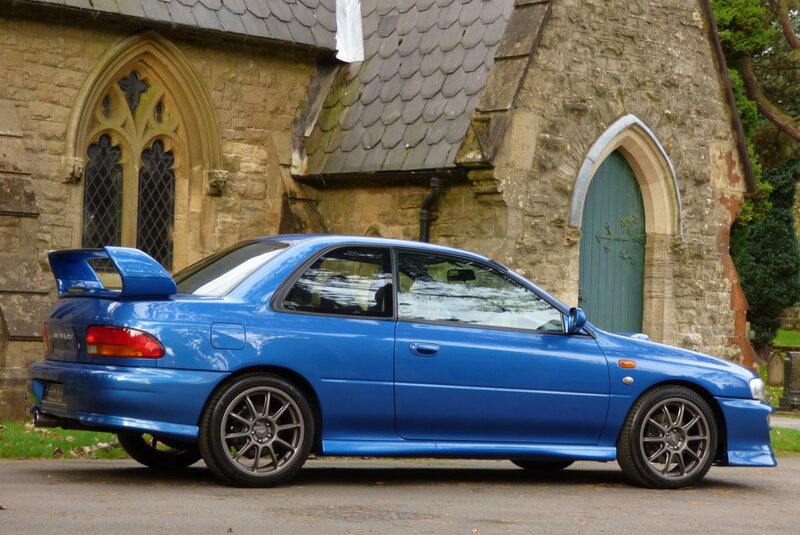 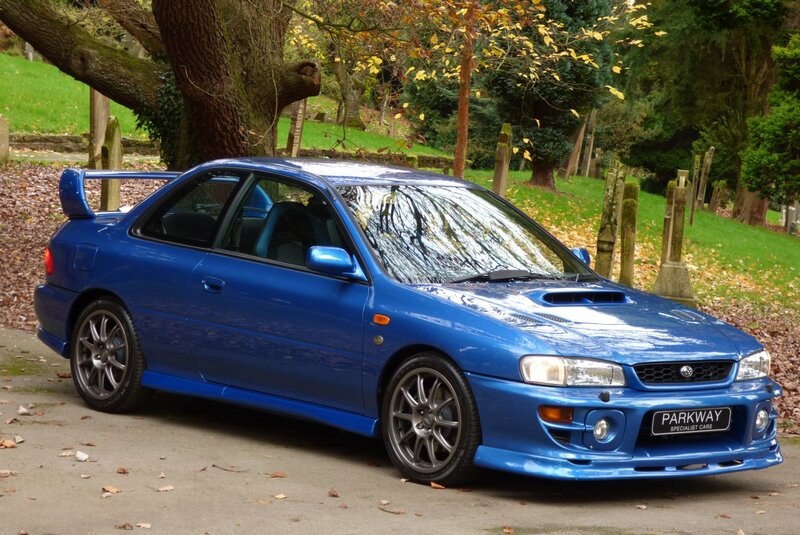 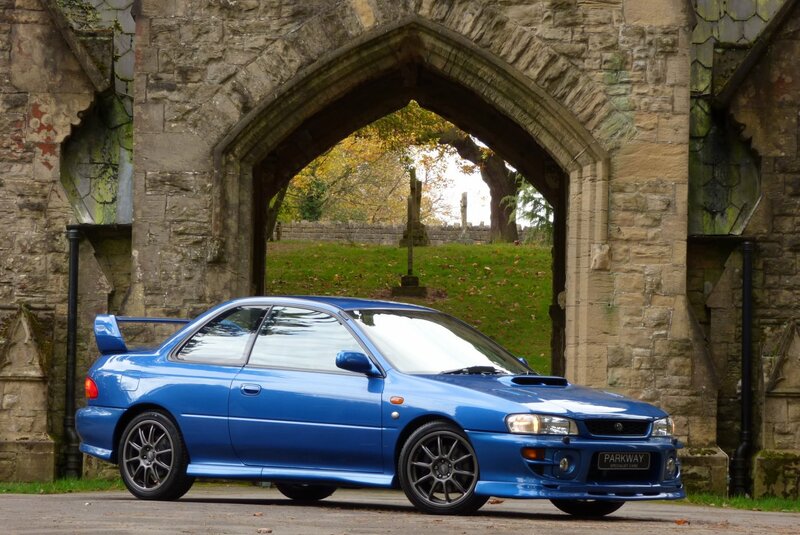 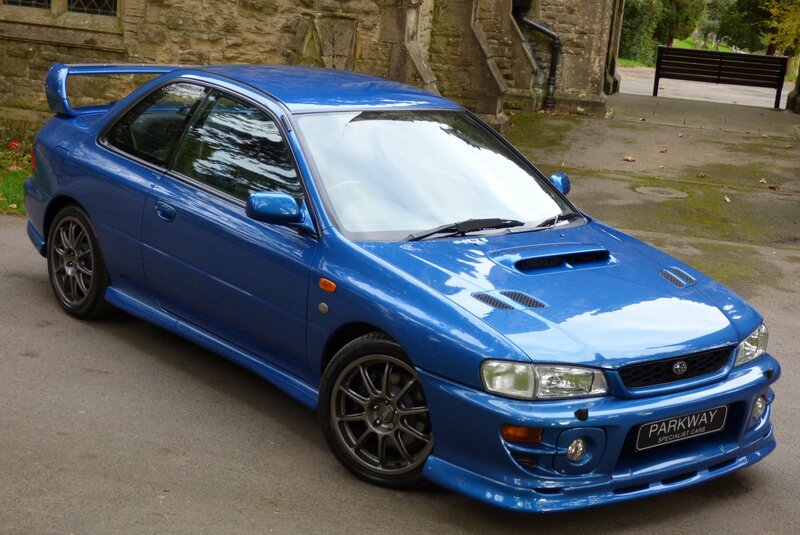 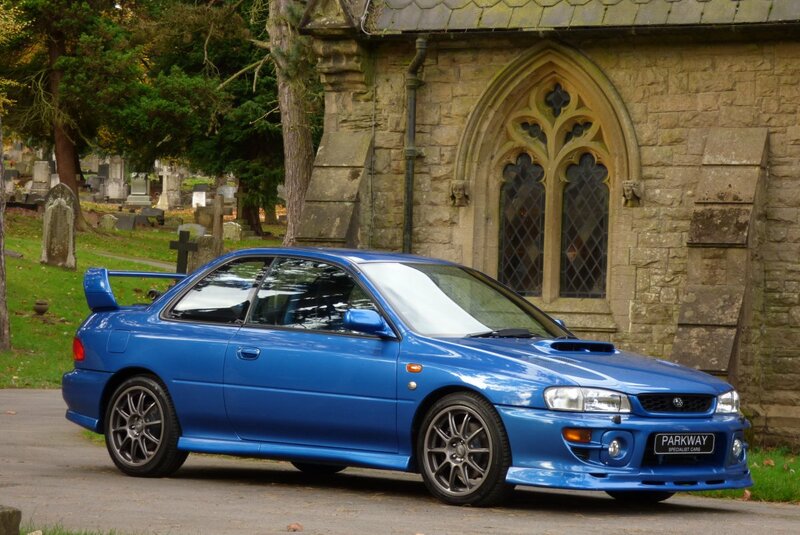 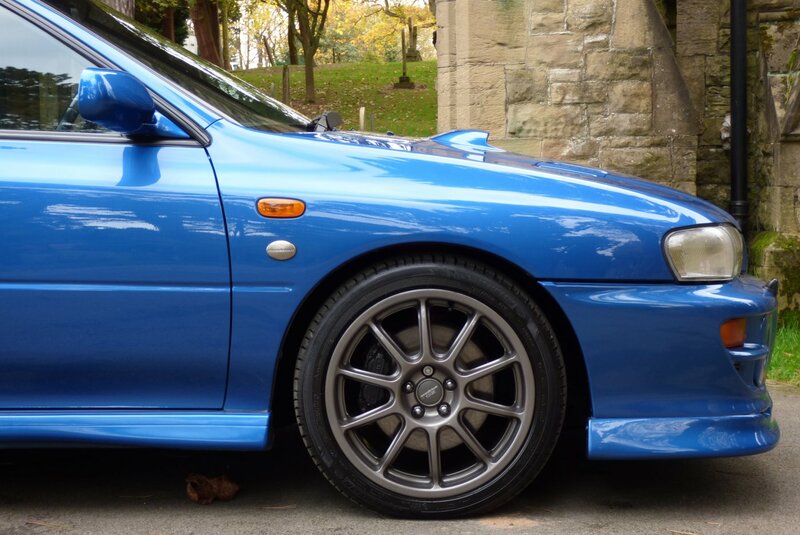 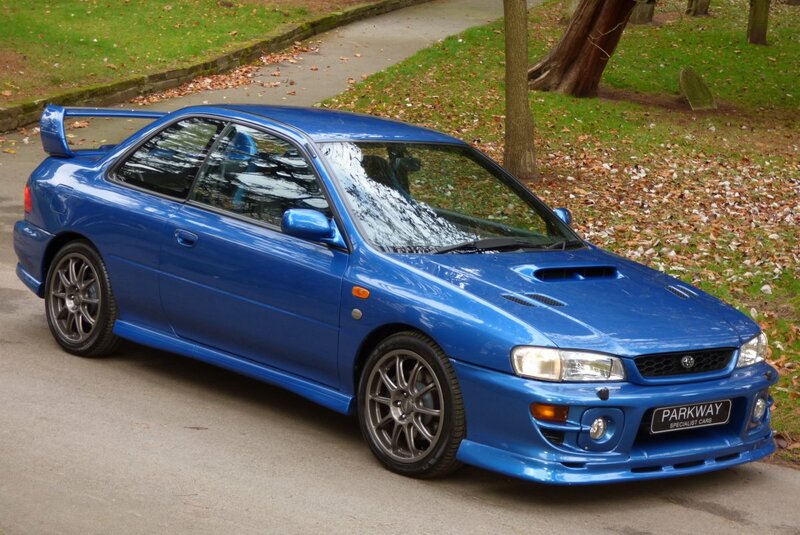 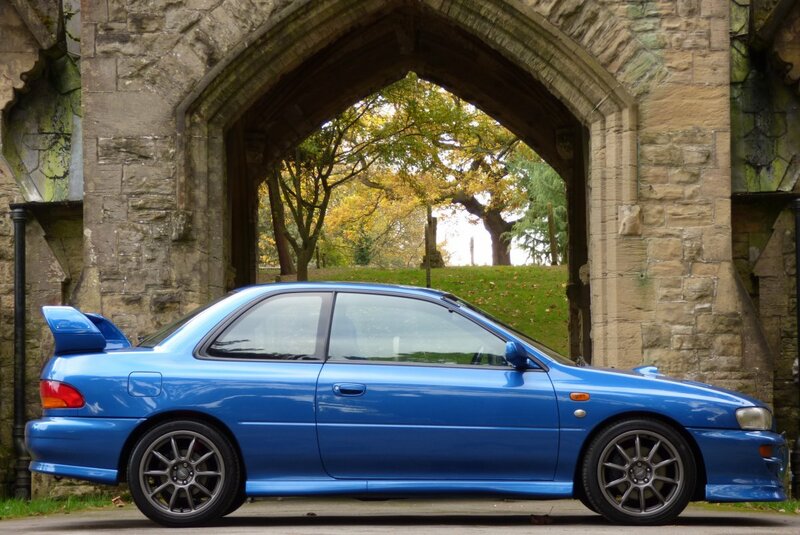 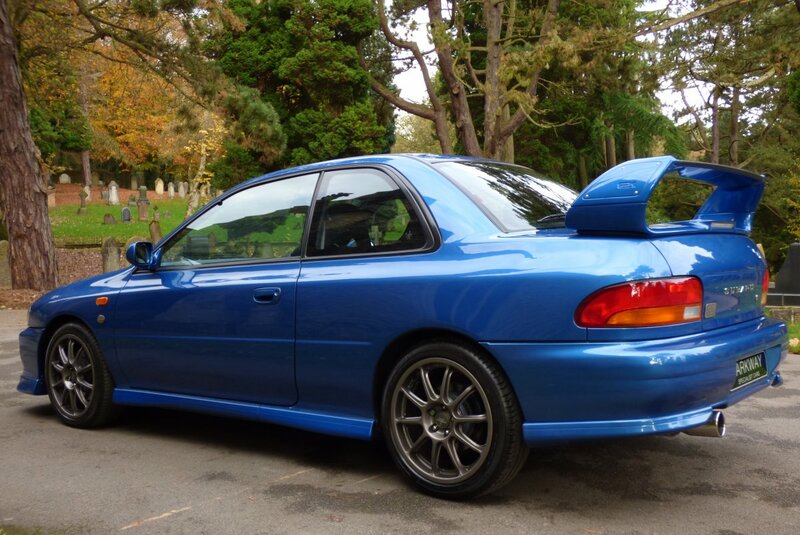 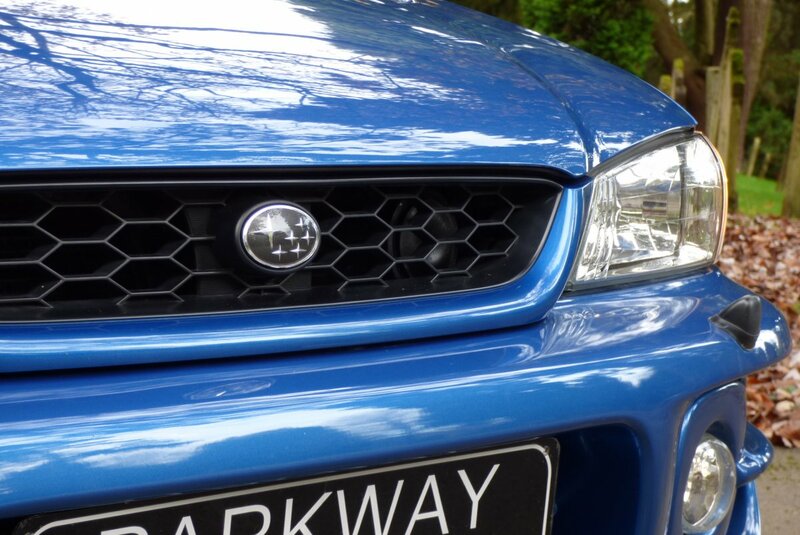 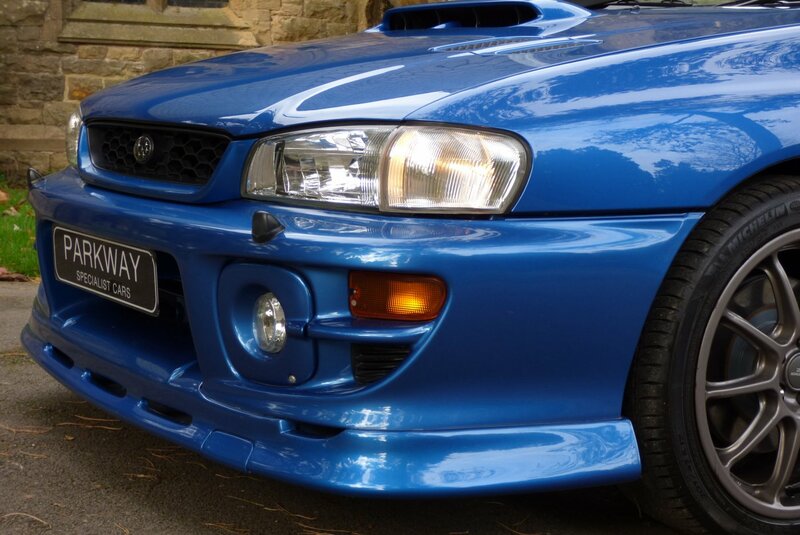 In Early 1999 A Very Important Meeting Took Place Between Dave Richards, The Boss Of Pro-Drive And The Subaru President Tankada, With The Main Line Of Conversation To Include Ways Of Protecting The Impreza Brand In The UK, From Japanese Grey Imports That Had Flooded The Market Place And Gave Subaru Main Dealers Major Problems. 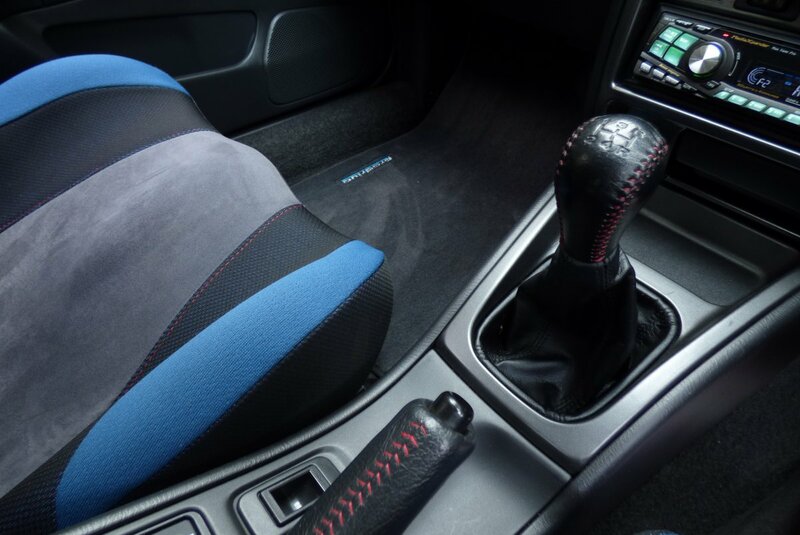 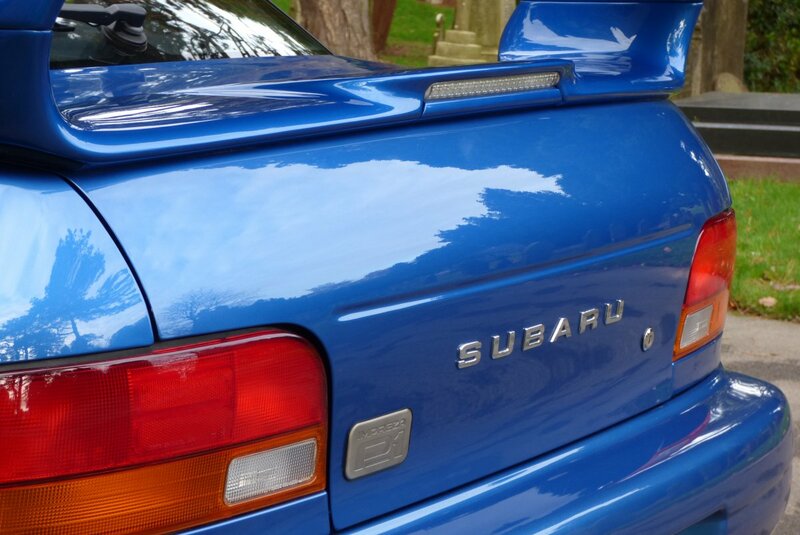 Guidelines Of The Subaru Impreza P1 Were Placed On The Table, With A View That The Factory Would Build A Limited Number Of 1000 Units To Be Delivered From The Start Of 2000, With This New Edition To The Subaru Line-Up To Have Very Similar Features To The Mighty Impreza 22B. 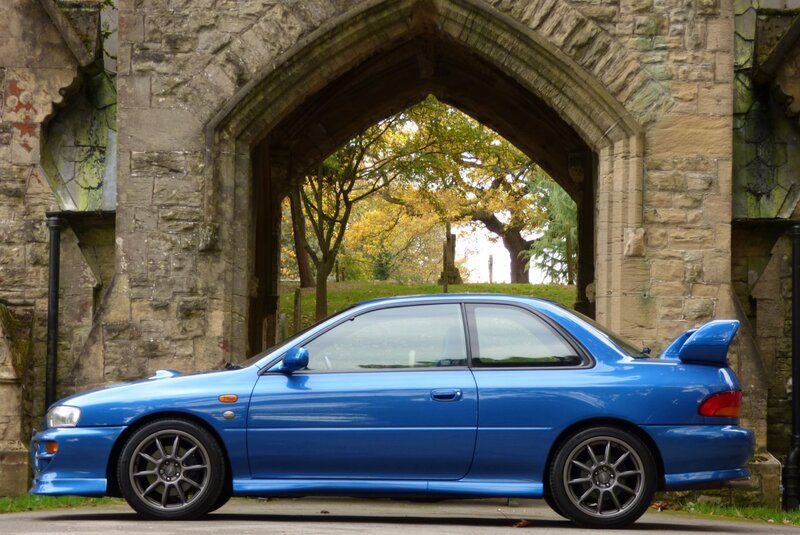 At The Time Of Build The P1 Was The Most Expensive Car Offered Into The UK, However All Units Had Been Sold In Record Time, By Eager Buyers And Enthusiasts That Wanted To Own Their Very Own Part Of Motoring History. 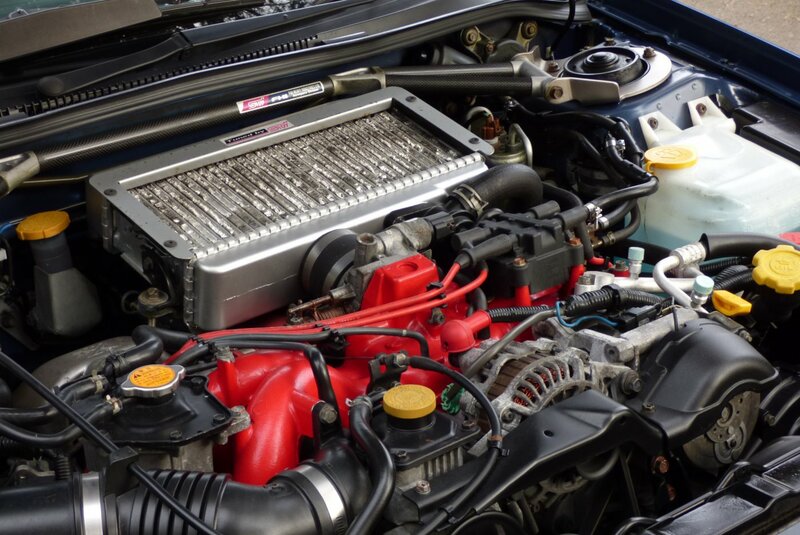 This Stunning Two Door Coupe Came With A Boxer Two Litre Turbo Charged Engine That Generated A Very Healthy 280 Brake Horse Power, That Was Capable Of Accelerating From 0.62 MPH In Just 4.7 Seconds And Offered A Limited Top Speed Of 155 MPH. 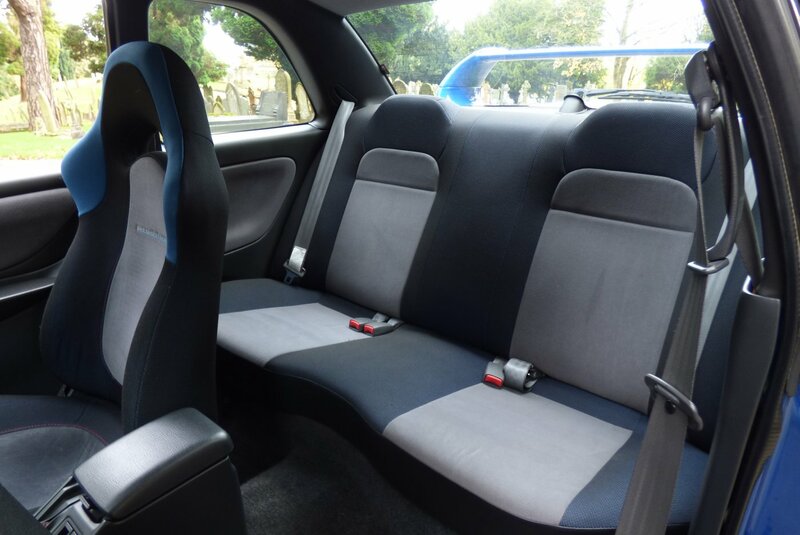 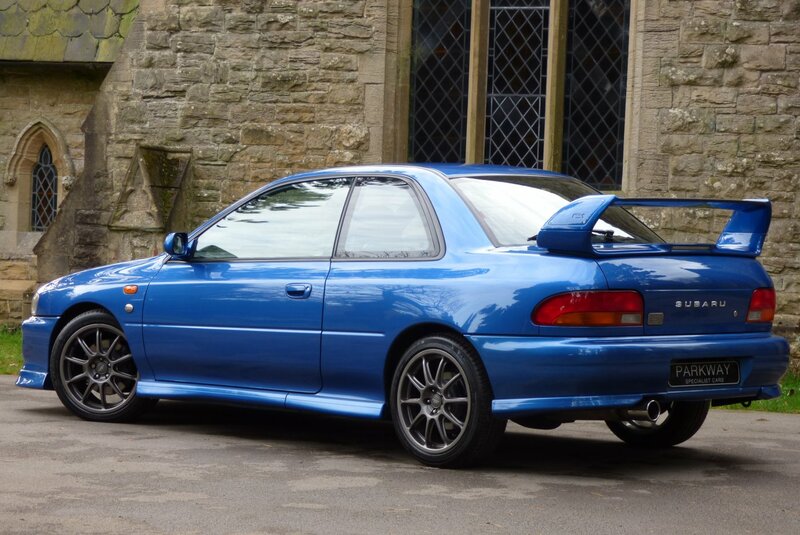 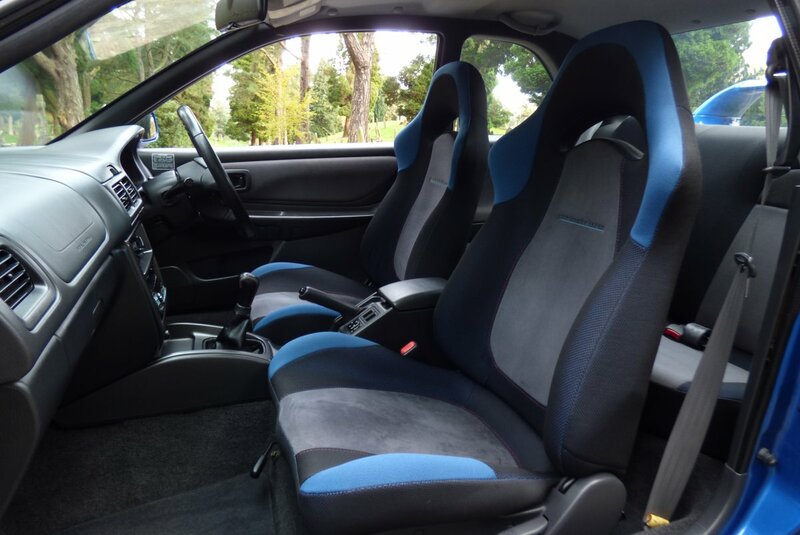 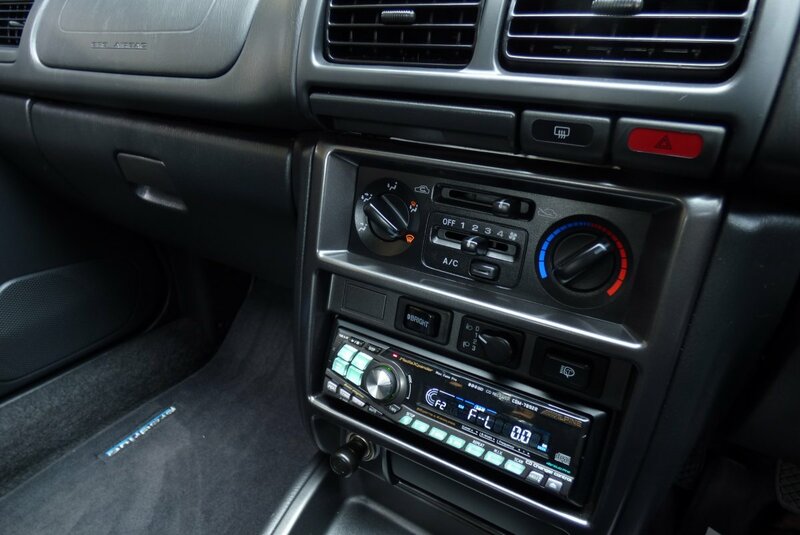 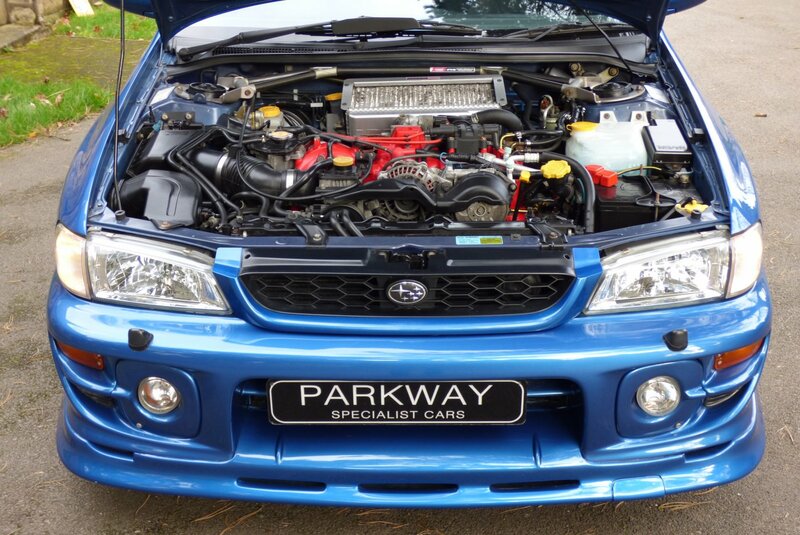 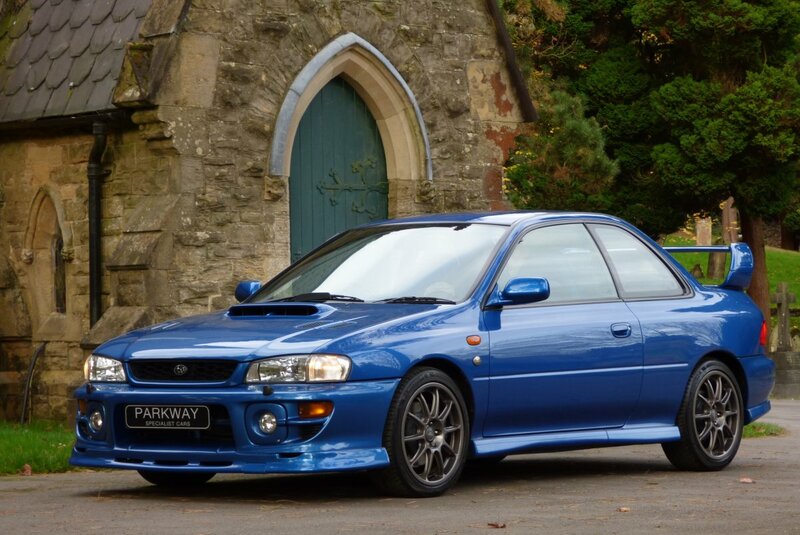 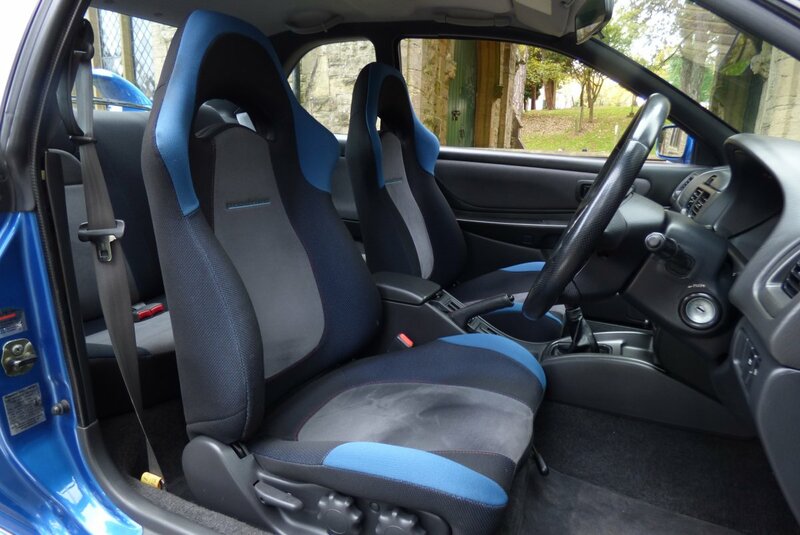 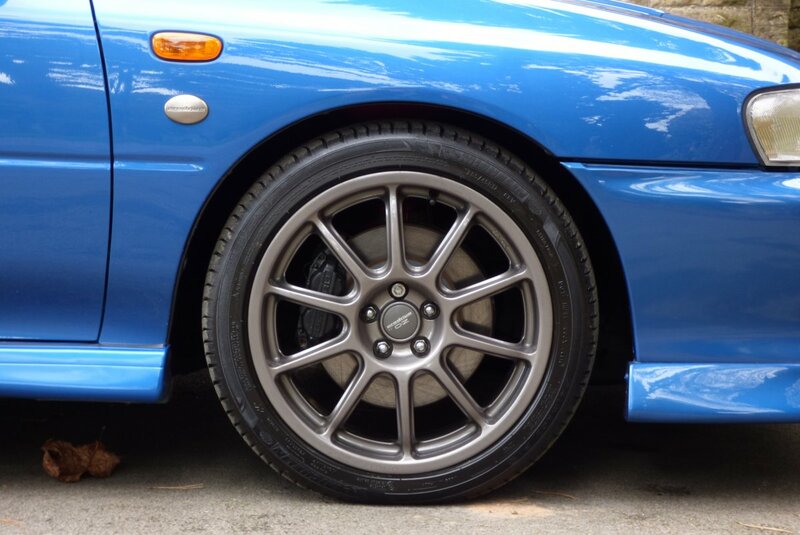 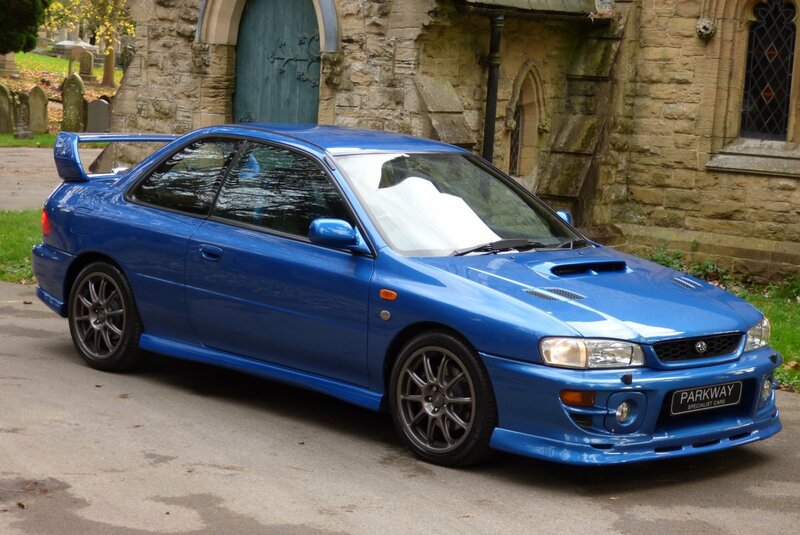 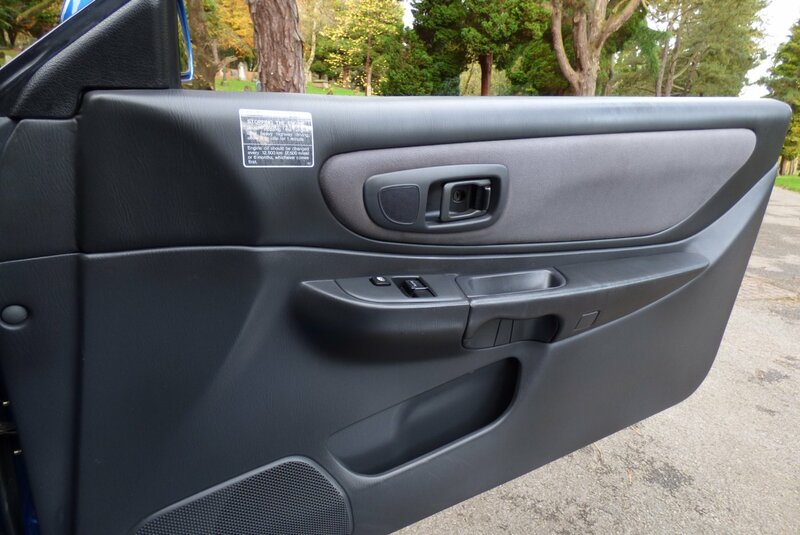 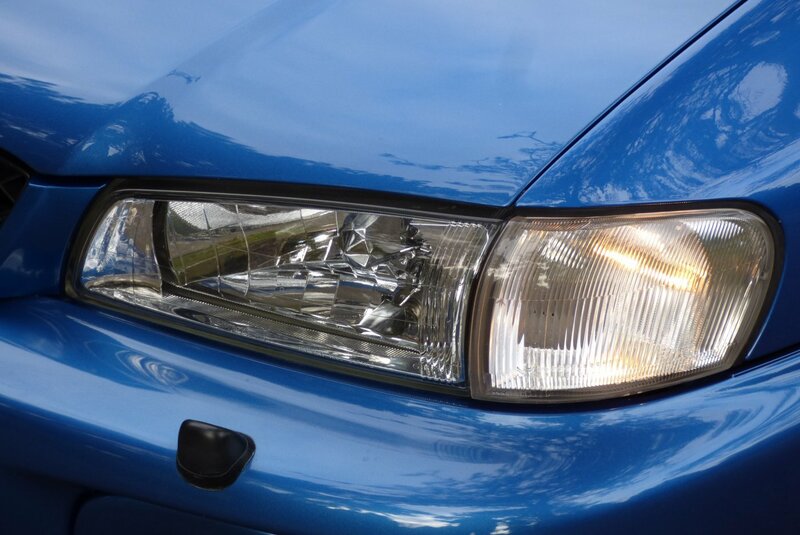 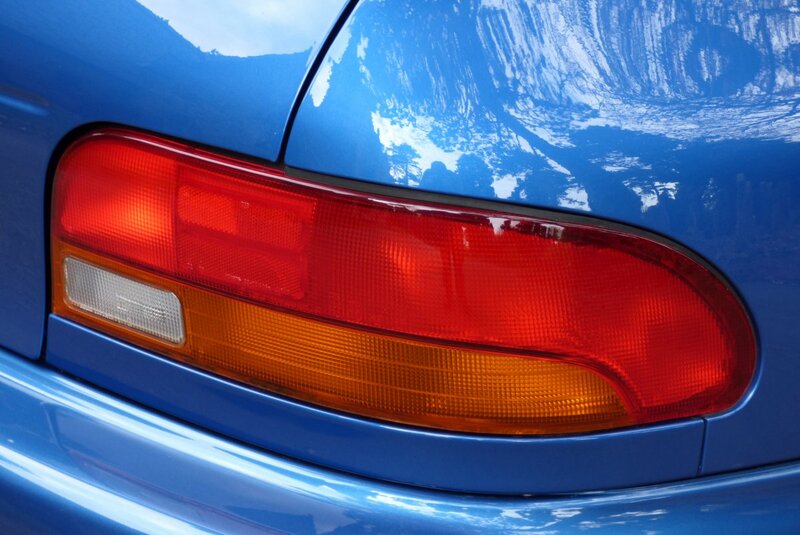 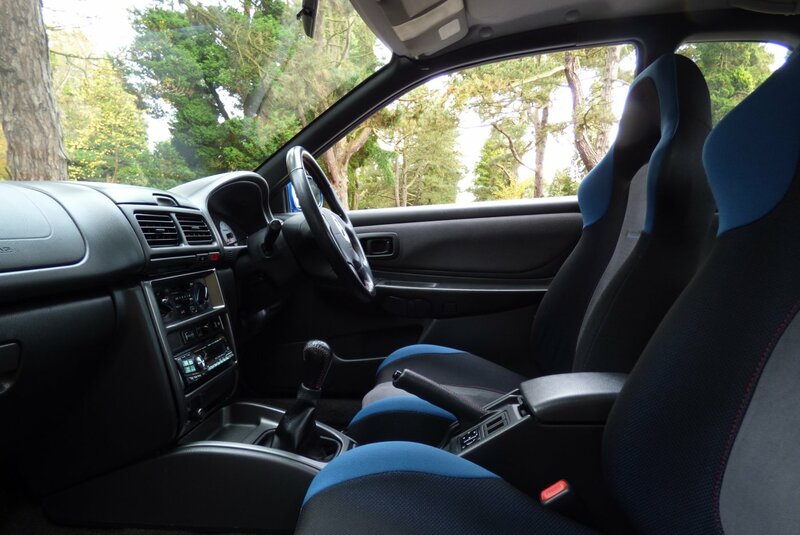 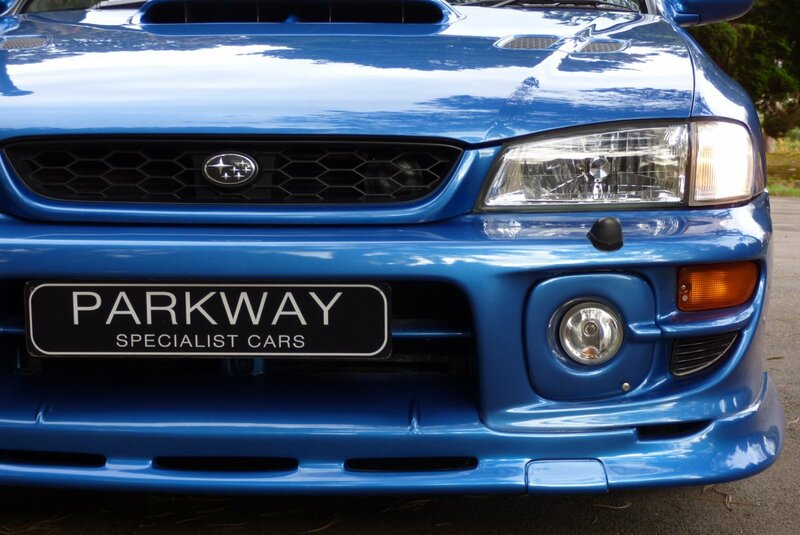 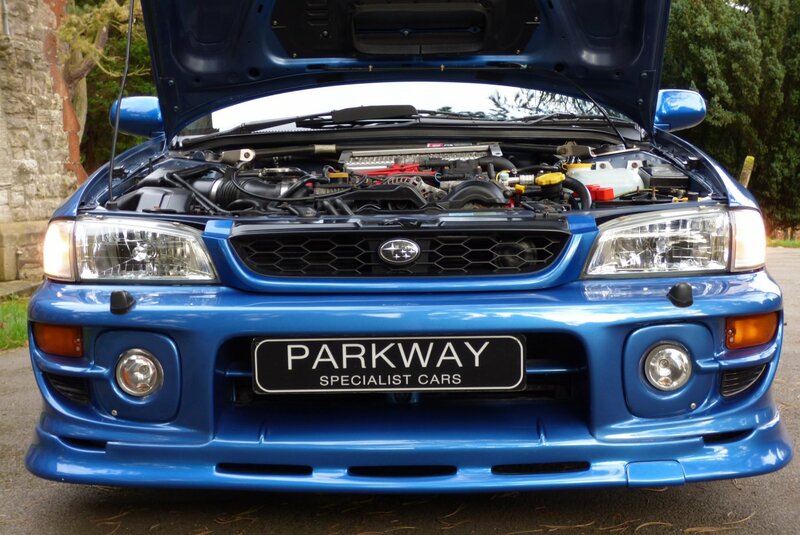 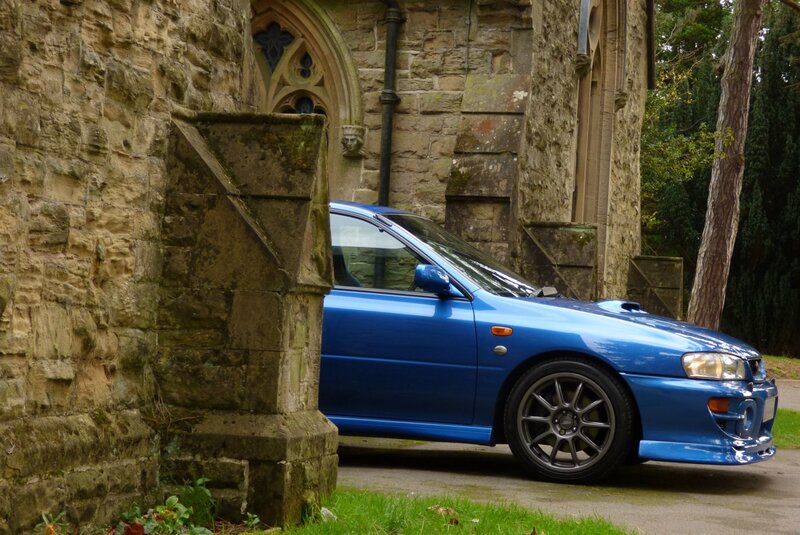 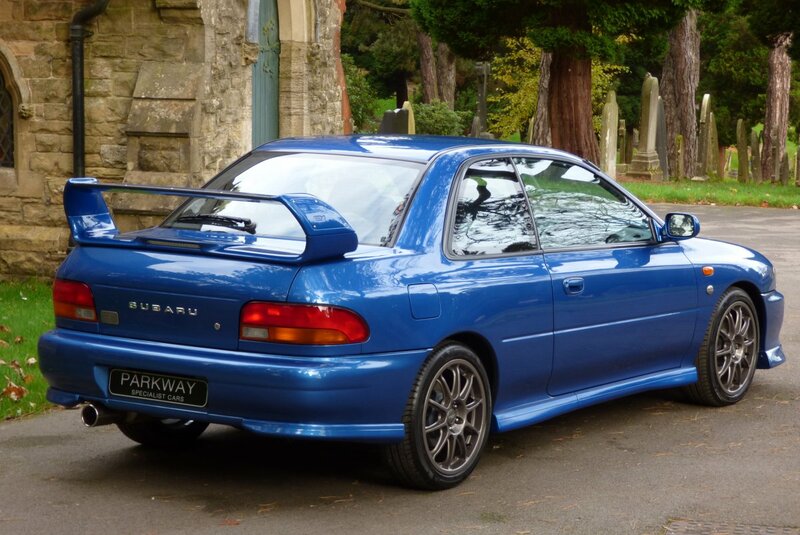 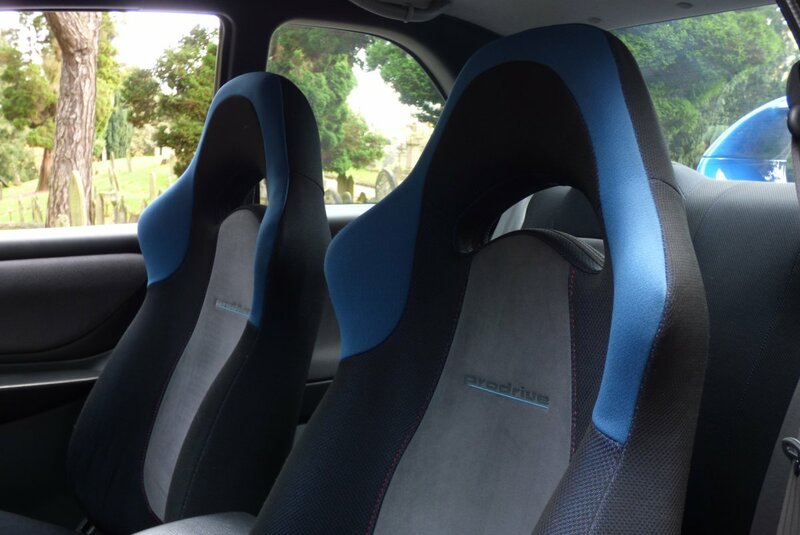 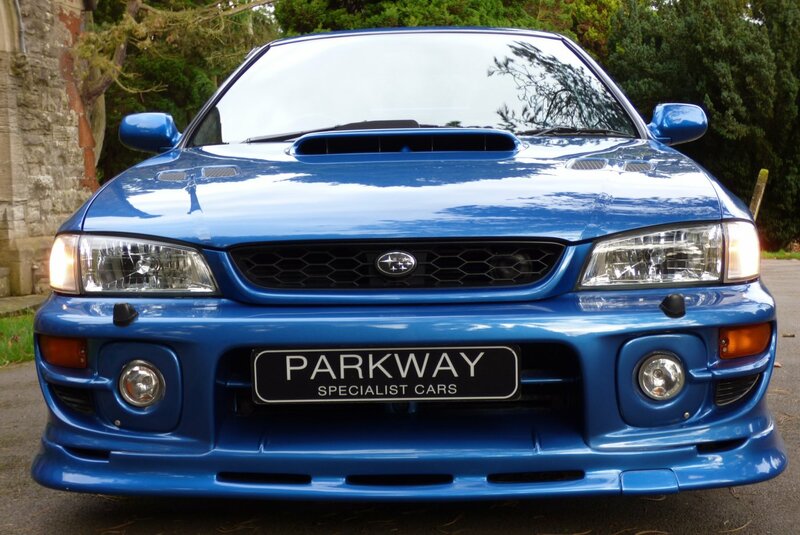 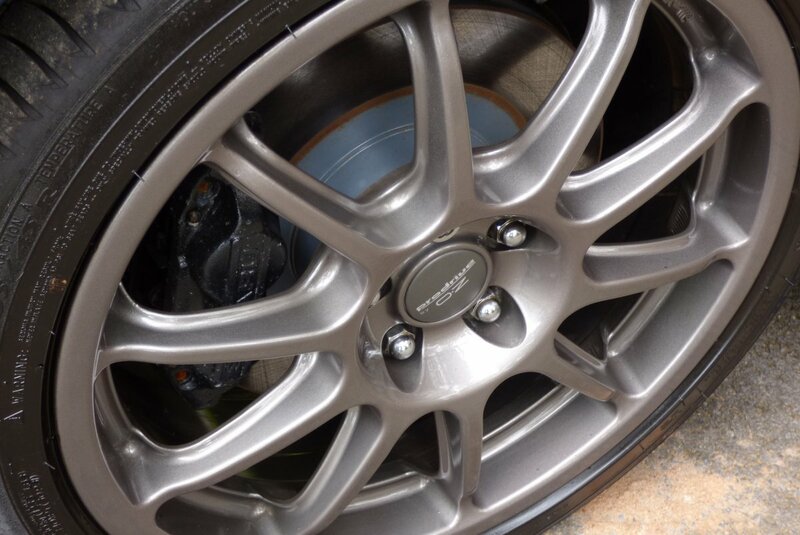 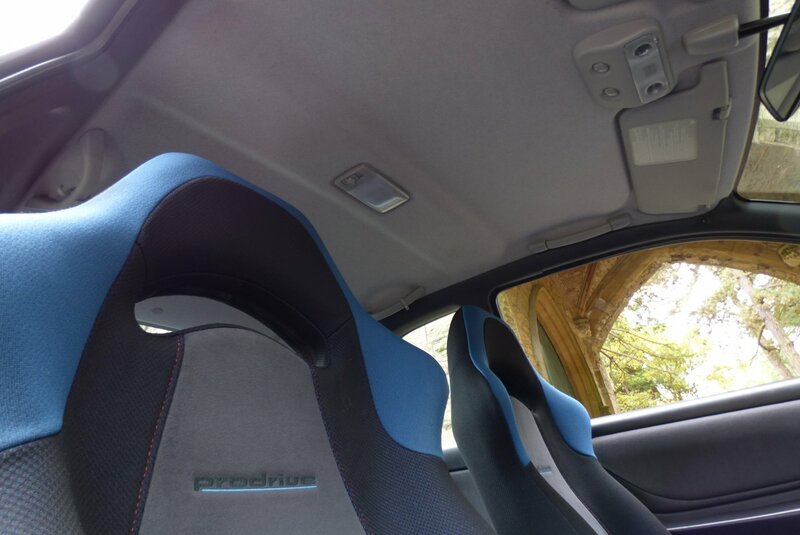 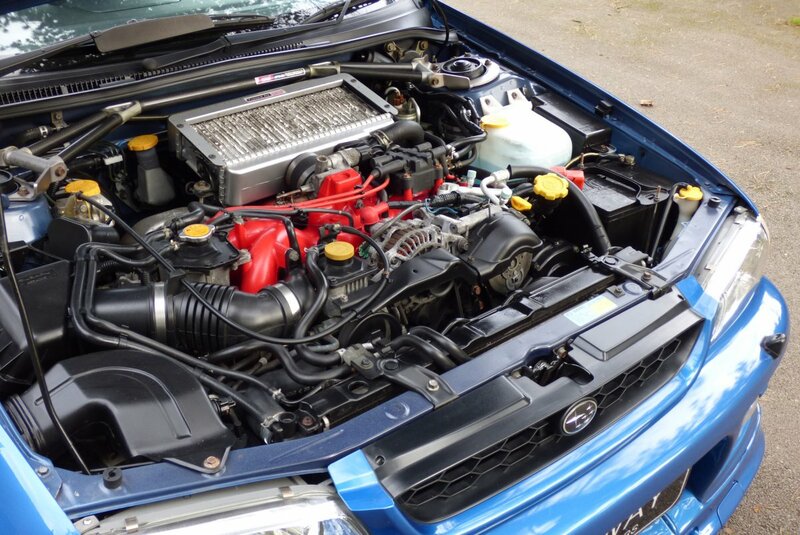 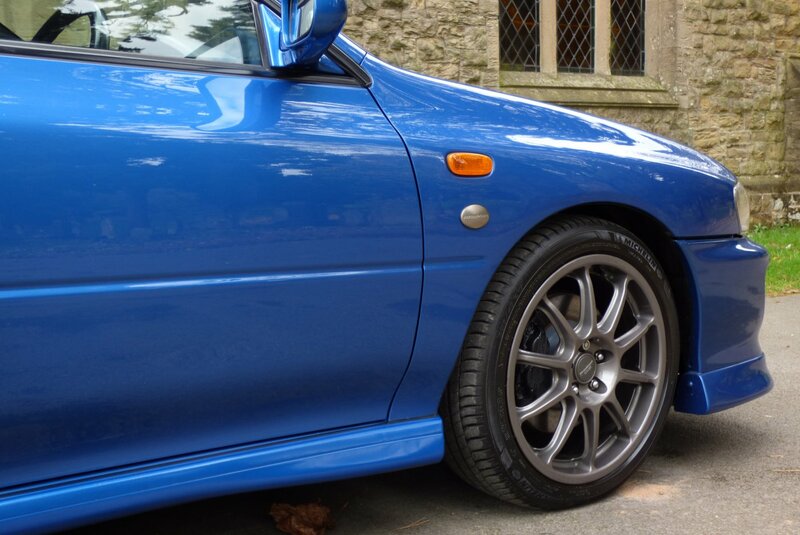 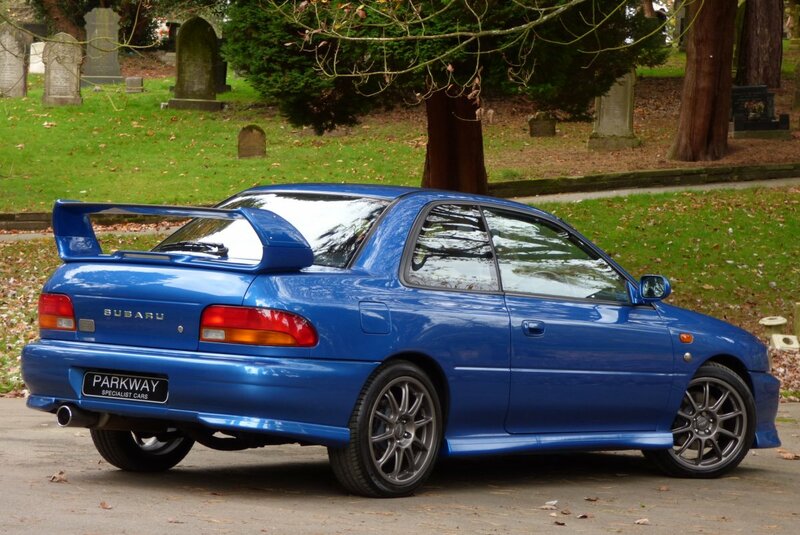 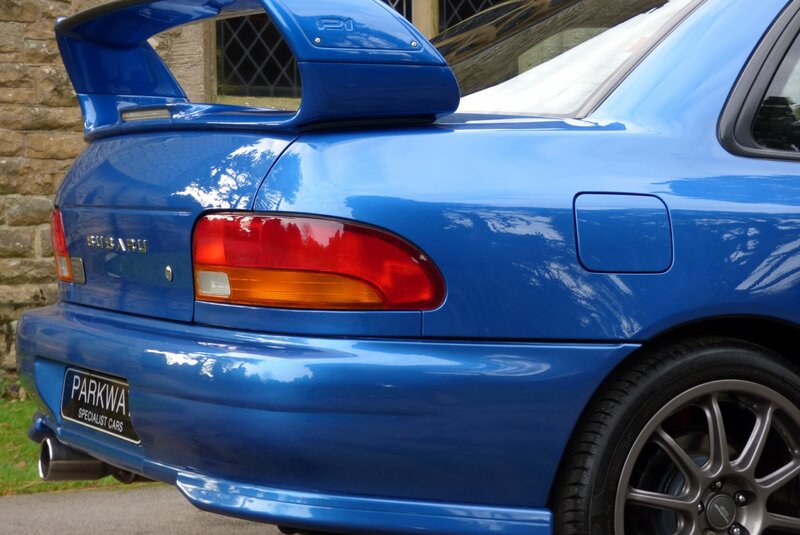 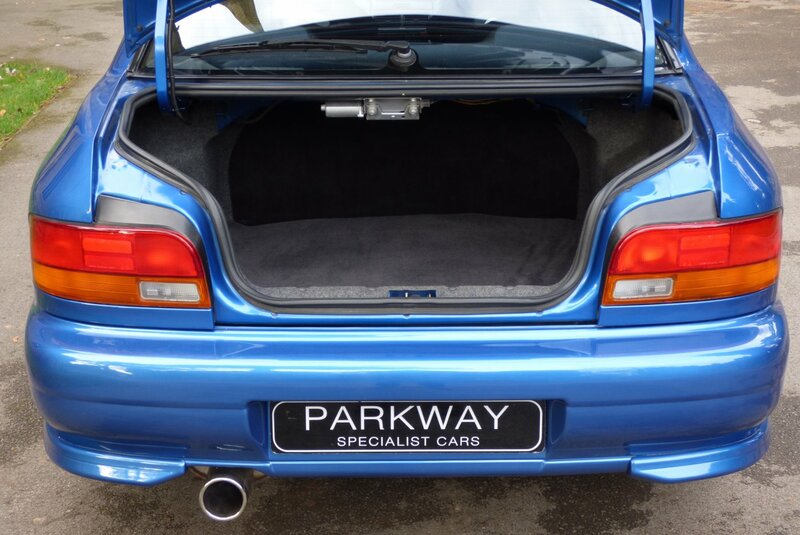 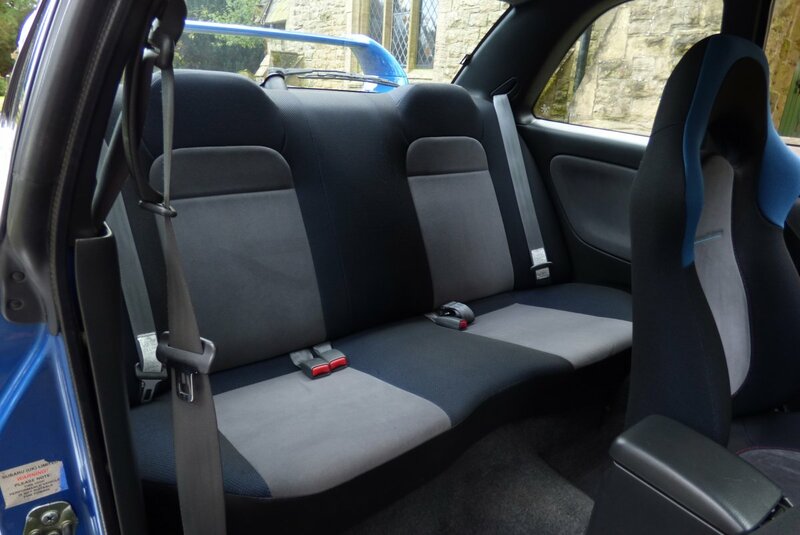 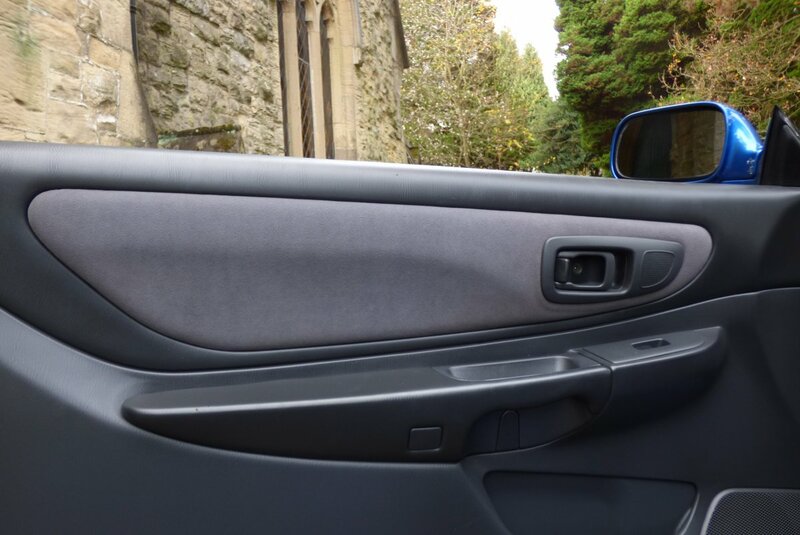 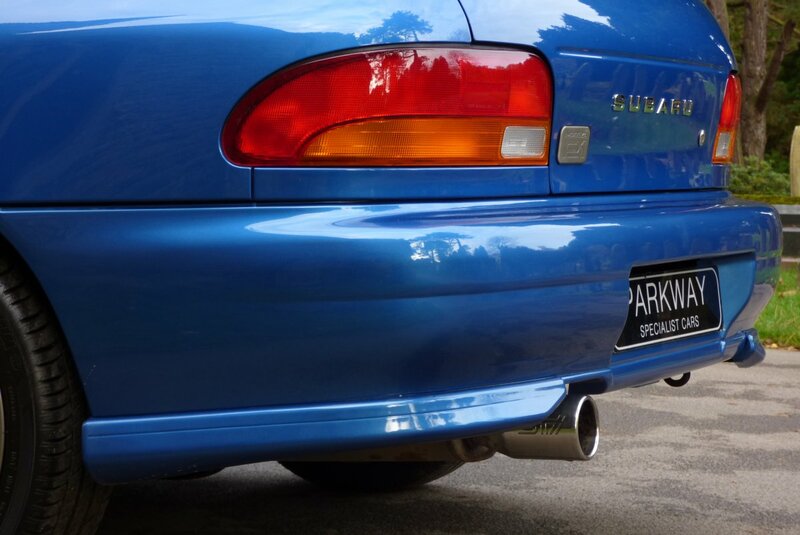 This Special Factory Standard Example Was First Supplied By Subaru UK In The August Of 2001 And Over The Last Sixteen Years From This Date The Car Has Had Very Minimal Miles Applied, With Only Having Just The Two Registered Keepers To Date. 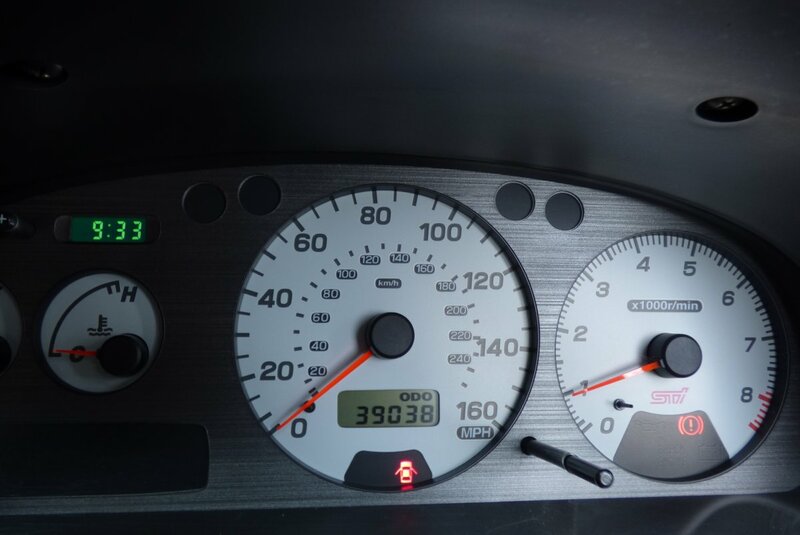 Regardless Of The Low Mileage Reading The Car Has Been Maintained To A High Standard With Past Service Visits Logged At 1446, 6080, 6190, 7671, 7945, 9283, 11771, 21901, 23175, 36845, 38792 & 39154 Miles, With The Last Completed To Include A Cambelt Change With Water Pump. 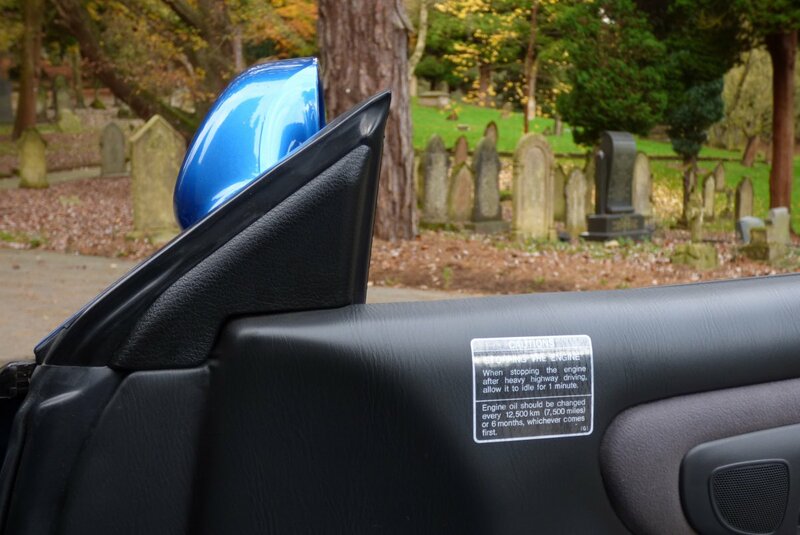 If We Fast Forward To 2017, The Total Market Place For Modern Day Classic Vehicles Can Be So Very Interesting And In Many Cases Certain Vehicles Can And Will Climb In Values As Time Moves On, So We Firmly Believe The This Will Be An Excellent Opportunity To The Next Lucky Custodian. 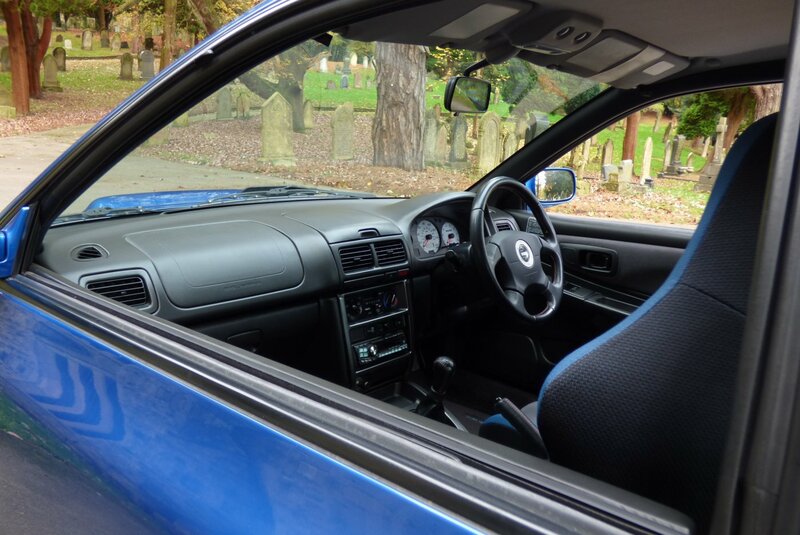 Once Sold The Car Will Be Presented With The Entire Booklet Pack Set, A Fully Cleared Hpi Certificate And A Fully Functional Key Set, Ready For The Next Person To Keep And Cherish. 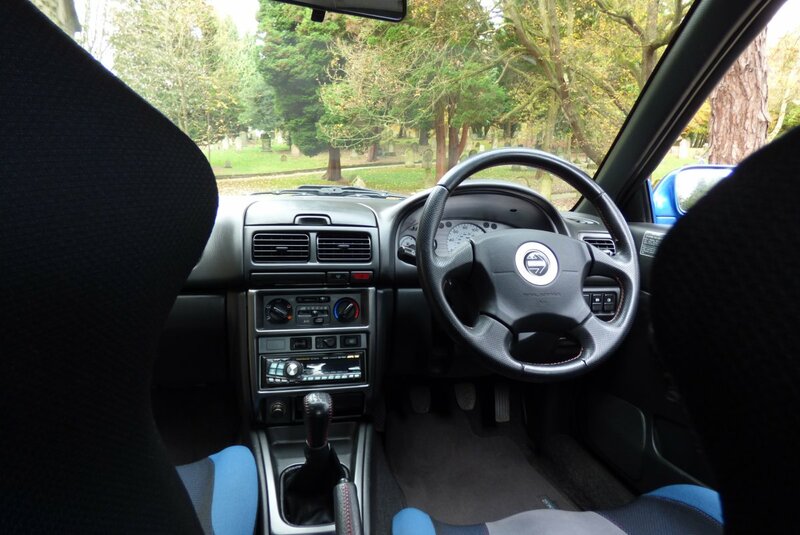 When You Step Inside The Cabin It Automatically Transports You Back To The Glorious Days When Subaru As A Company Were A True Rally Giant. 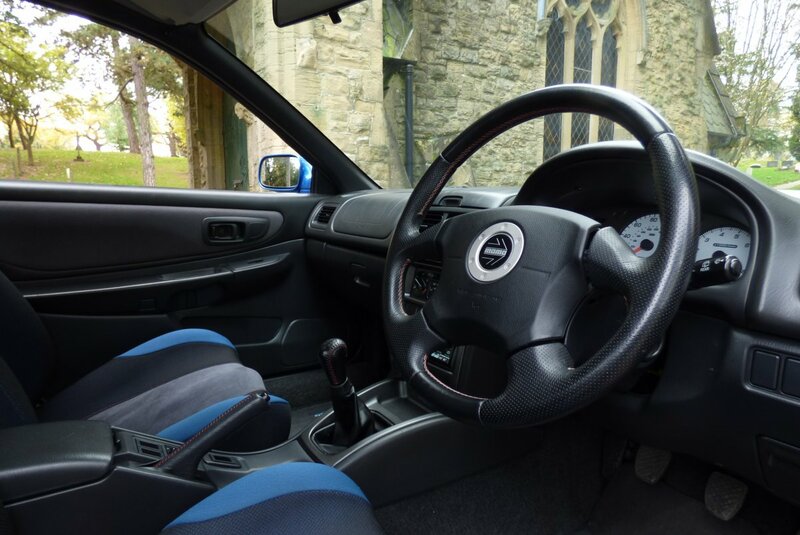 The Interior Offers The Perfect Blend Of Extreme Excitement, With Maximum Comfort. 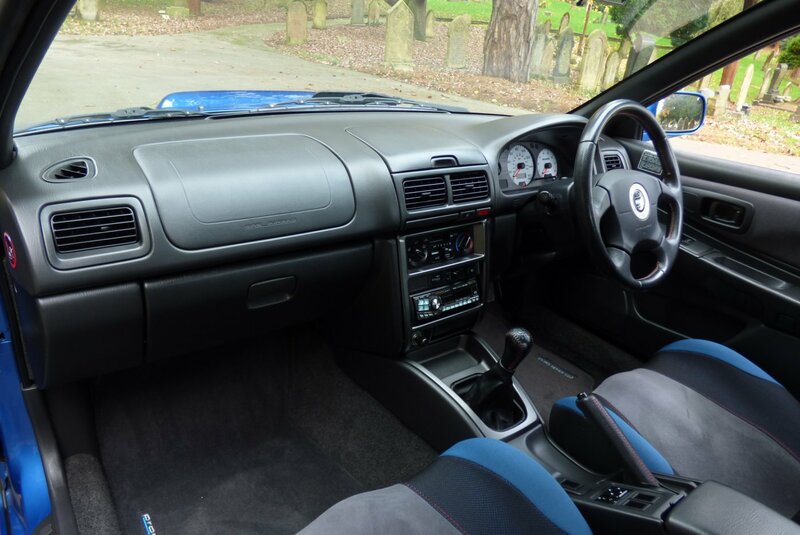 From Factory Build This Remarkable Find Came With The Pro-Drive Embossed Blue Fabric And Dark Grey Suede Sport Seats Beautifully Complemented With Red Twin Needle Stitchwork, SRS Embossed Black Dash That Wraps Around The Interior, Light Grey Fabric Roof Lining, Light Grey Suede Trimmed Door Cards, Black Carpets Protected With The Pro Driver Over Mats And Finished With The Four Spoke Leather Trimmed Momo Steering Wheel Detailed With The Red Stitch. 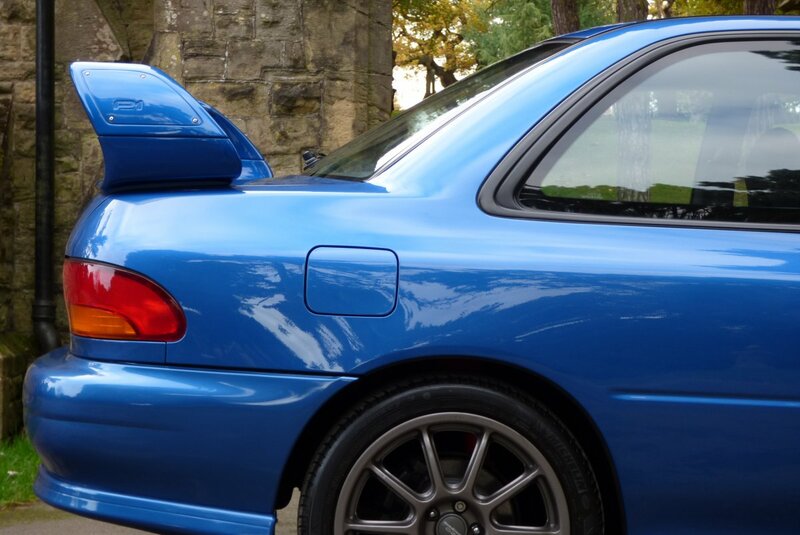 The Body Of The P1 Is Presented In The Sonic Blue Pearl Finish, Which Is A Remarkable Colour In Demonstrating The Aggressive P1 Curves And The Now World Famous Exterior Subaru Lines. 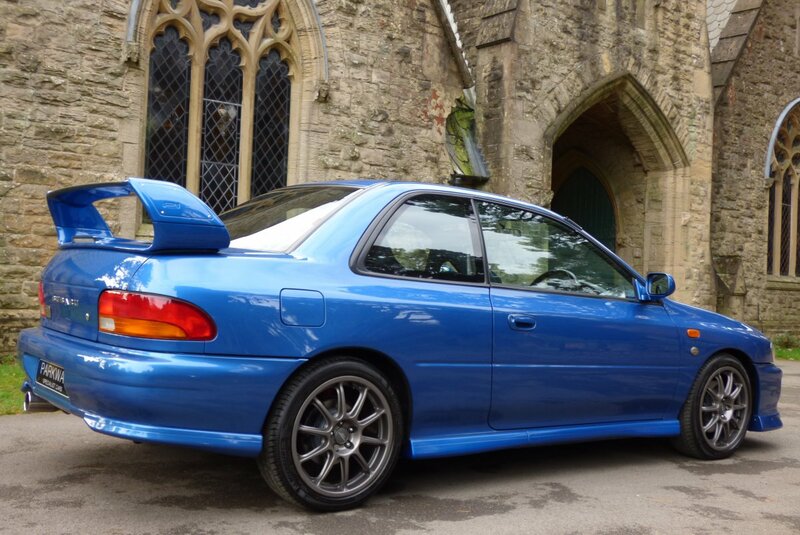 Further Features Are Presented With The Unmarked Titanium Finished 18" Ten Spoke OZ Alloy Wheels Which All Sit On Branded Tyres, The Singular STi Embossed Chromed Exhaust Pipe, The P1 Embossed High Level Rear Spoiler Detailed From Factory With Carbon Inlays, The P1 Side Wing Motifs, The Impreza Bonnet Housing The Infamous Mesh Vents And Signature Scoop And Decorated With The Chromed Subaru Badges. 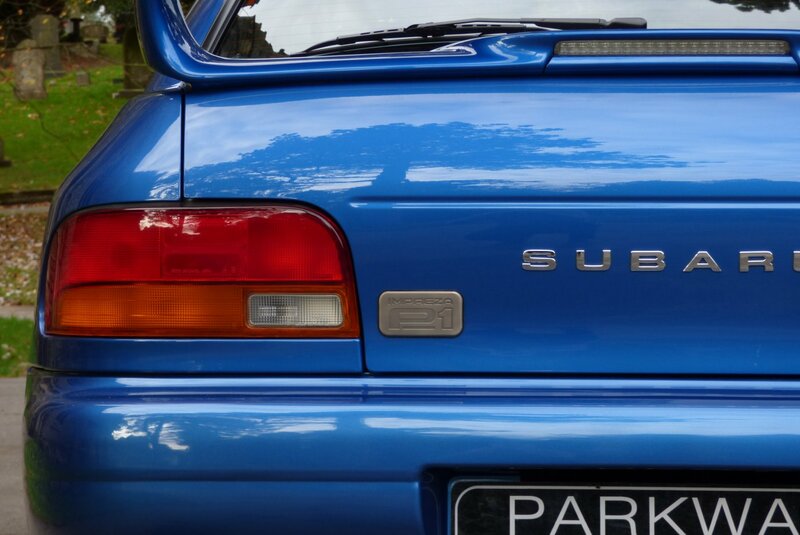 The Car Looks Staggeringly Beautiful From Every Angle And There Are No Surprises Why This Now Rare Model Has Entered Into The Modern Day Classic Status. 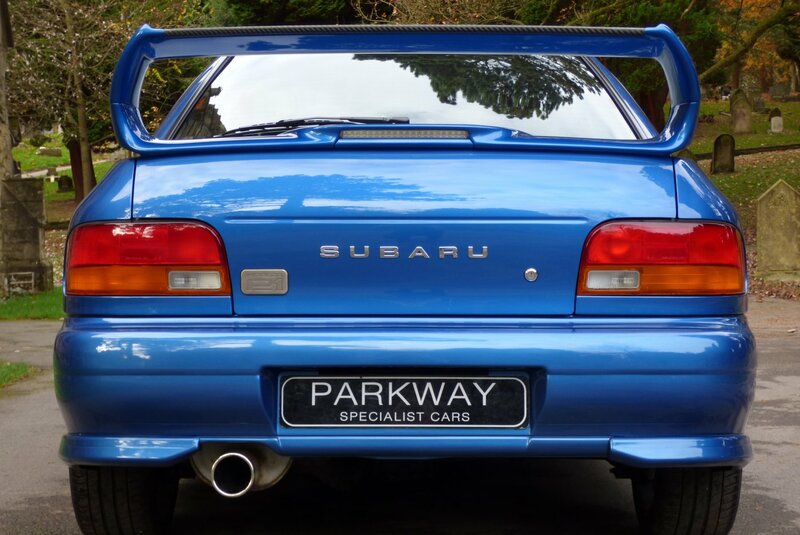 This Very Rare Two Keeper Example With A Very Low Mileage Reading Comes Complete With Factory Options To Include Unmarked Titanium 18" OZ Multi Spoke Alloy Wheels, The P1 Embossed Signature Rear Boot Lid Spoiler, The Four Spoke Momo Embossed Leather Bound Steering Wheel, Air Conditioning, Headlamp Power Wash System, Remote Central Locking With Alarm, STi Embossed Chromed Exhaust System, Electric Windows, Electric Mirrors, Front Driving Lamps, The Blackened Hexagon Front Grille, Twin Air Bags, Alpine CDM-7892R Radio With CD Function, STi Embossed White Dials, The Factory Short Shift Transmission, The Pro Drive Over Mats And So Much More. 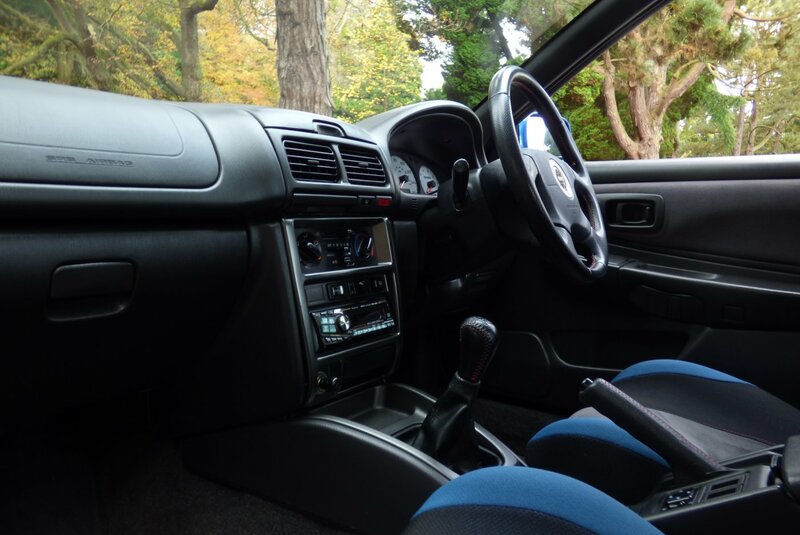 The Car Is Presented With The Entire Booklet Pack Set, A Fully Cleared Hpi Report And The Full Key Set. 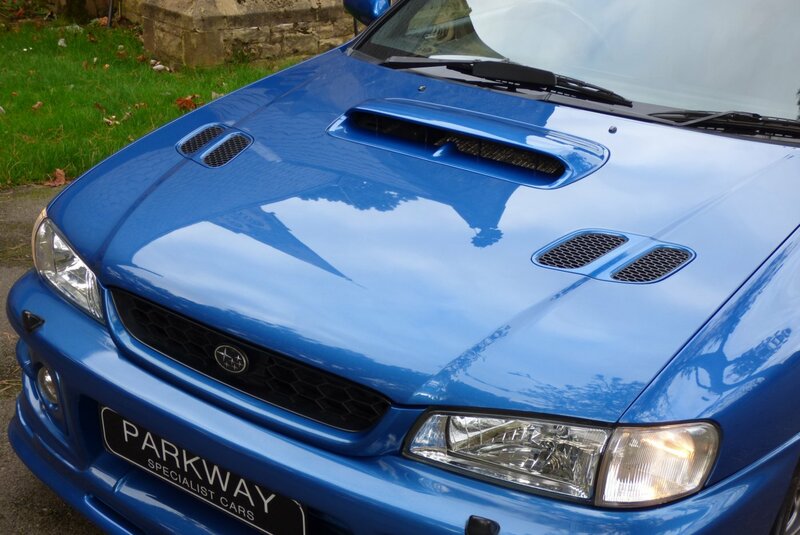 For Further Details On This Very Collectable Find, Then Please Contact Our Sales Team Today..